Meeting the wine people of eastern Washington is like meeting that minor league pitcher with a 97 mph fastball. These grape growers have a refreshing love of the game without that superstar big-league wine country flash. When I visited in 2006, the number of wineries approached 400. Now, it's almost 600, cranking out 7.5 million cases annually, according to the Washington Wine Commission. The quaint wheat farming town of Walla Walla, the namesake of the state's easternmost American Viticulture Area, is blossoming with wine-related businesses -- expensive restaurants created by Seattle's high-profile chefs, sleek wine tasting rooms, wine-themed boutiques daintily crammed with multifarious dust-gathering paraphernalia. So as I looked around, I wondered if this one-horse town is morphing into a one-trick pony? Before 1980, grapes didn't rule in arid eastern Washington; dry-farmed wheat and onions did. As wine galloped in from the two states south, smart farmers began trading their commodity crops for the dollar signs written on soft, fleshy grape skins. But caveats abound when growing grapes: Compared to wheat, which only needs the winter's melted snow to grow, vineyards need 16 inches of rain each year to survive. Eastern Washington only provides eight. Enter the "water rights" issue. Contrary to popular belief, vitis vinifera grapes don't need rich soil to proliferate. Their evolutionary ancestors preferred struggling in the thin, rocky soil of the Caucasus Mountains. And like Gloria Gaynor, they will survive. In rainier areas, they ride out the elements naturally (think France, where watering is illegal), but grapes in Washington require a steady, controlled drip diet of water to create robust, albeit stressed, fruit. Without liquid nourishment, they perish, so only grape growers with water access win. And the policy wonks have prohibited tapping into aquifers or siphoning off of the Columbia River. The government controls these rights and wants money -- big money -- which is driving up the costs of the wines. This might explain why many Washington vineyards are planted with only varietals that deliver high-paying juice: Cabernet sauvignon, merlot, cabernet franc and syrah. Cabernet blends, with hefty doses of merlot, are as copious as computer geeks in Seattle. With quality and value surpassing California's, the prices seem to be climbing higher, approaching Napa's $100 stallions. That's worrisome in a state still struggling to find its place -- I almost long for the Washington Wild West of '06. Fortunately, I discovered Washington has other moves. Monteillet Fromagerie, a family-owned dairy near Walla Walla, is molding its place in the craft-food craze. Making cheese since 2002, vibrant and energetic Joan and Pierre-Louis Monteillet scratch out a small living milking goats and sheep. With a focus on organic and biodiversity farm methods -- the 30-acre property teems with life: free-range chickens, pigs and lambs -- the cheeses taste fresher and more tended with love (see pictures and read the blog entry). The energy is palpably warm and inviting, an atmosphere that would render foodie eco-tourists mushy. But back to the wine. 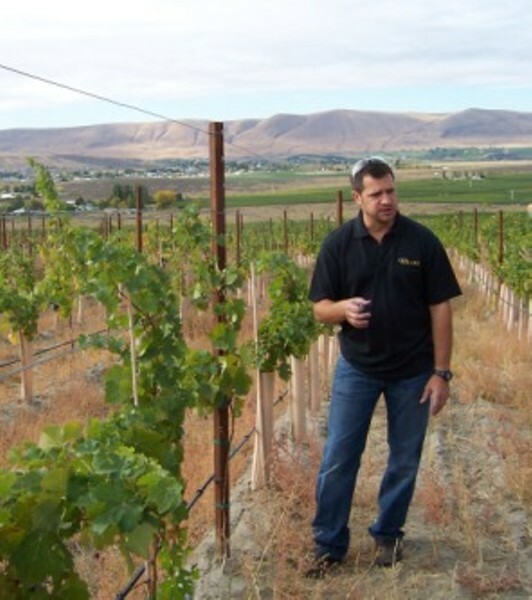 The recently released 2006 vintage in Washington is truly outstanding, no matter what the varietal or the winery. They meshed better and had forceful fruit and great personalities. The merlots are ballsy. The cabs feature soft, fruity lushness. The in-your-face, peppery syrahs will cellar well and pair with meat. A stellar year. With its sales up 20 percent, I'm not worried too much about Washington's success, although the Napa-izing scares the bejesus out of me. But I'll save that rant for another column.